Pastor Gregory Allen Dawson was born February 28th, 1963, in Joliet, Illinois. He attended Central University in Pella, Iowa, where he met the former Carmen Maria Davila in September of 1982. He married her in January of 1984, and shortly thereafter, enlisted in the Air Force where he served for 20 years. In October of 1988 he received an assignment to Belgium. During this time he was invited to Calvary Baptist Church. He accepted the invitation and on that day, February 3rd, 1991 he and his wife accepted Christ as personal Savior. Pastor Dawson surrendered to preach the Gospel of Christ in September of 1994, at a revival meeting in Belgium. God began preparing Pastor Dawson for his calling. He assisted his pastor in numerous capacities as he served as the youth minister for nine years at Calvary Baptist Church. He was a deacon and also responsible for coordinating VBS yearly, a bus route, regular teen activities and teen Sunday school teacher, teen camps and retreats, the soul winning program, men’s devotions and song leading. He also had the privilege of coordinating worship services in Turkey, Africa, Dominican Republic, Italy, Germany, Switzerland and ministering to numerous Europeans and youth while stationed in Belgium. In November of 1999 he was assigned to Davis-Monthan Air Force Base, in Tucson Arizona, where he joined Bethel Baptist Church. As he ministered to youth, he felt God dealing with him about church planting and his call to preach. After much prayer, he consulted with Dr. Ed Nelson, his pastor. As they prayed together, God began to open doors for a new work to begin. On September 30th, 2001, Bethel Baptist Church Mission met for the first time and was later organized as Shining Light Baptist Church on January 19th, 2003. 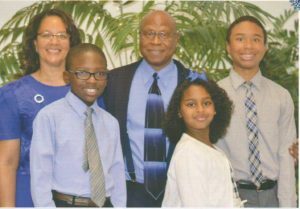 Pastor Dawson’s greatest motivational drives are his salvation, call to preach, teaching others, seeing Christians mature and the joy of having his wife Carmen, miracle son Gregory Allen II (G2), Joshua Axavier and Faith Nevaeh by his side. Pastor Dawson relaxes by watching “old fashioned” cartoons like Bugs Bunny, Tom and Jerry, and The Little Rascals. He also enjoys football, basketball, listening to music and preaching. Pastor Dawson’s mentors are first and foremost the Lord Jesus Christ and the Holy Spirit of God, but also Dr. Craig Bennett, Dr Lou Baldwin and Dr. Ed Nelson. Pastor Dawson’s life verse is Joshua 24:15, “…as for me and my house, we will serve the Lord.” He has a Bachelor of Arts degree in Bible and Theology and continues to further his spiritual education.